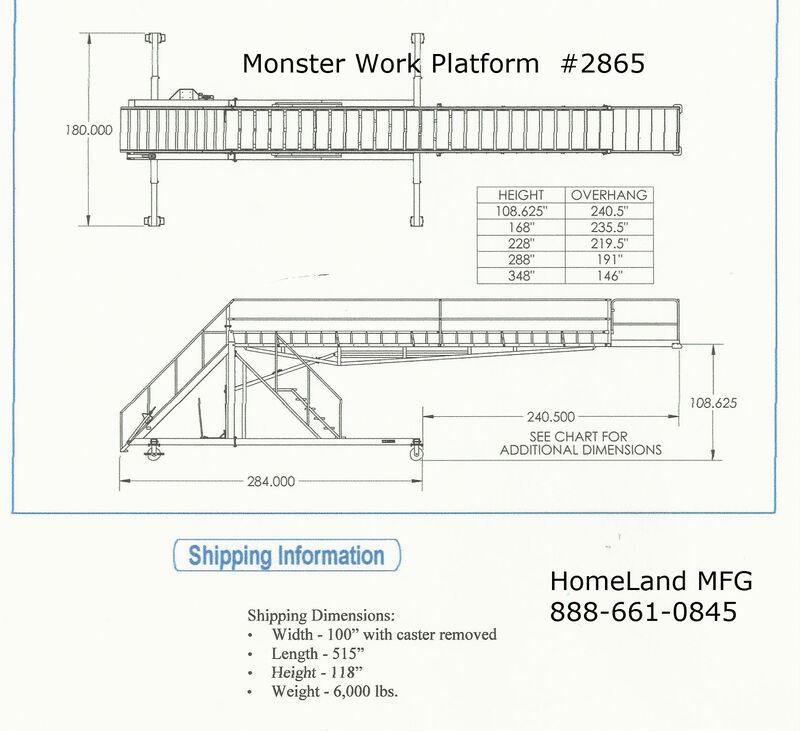 Monster Adjustable Maintenance Platform 15F2865 is always the GO-TO Work Platform. 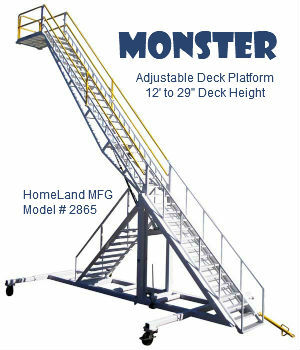 With an Adjustable Platform Height of 12' to 29' this Work Platform can Access just about any Maintenance Height Requirement. The Maintenance Stand 15F2865 can reach it all. Serrated Deck is 36" x 60"